On Thursday October 20, 2016 at 7:00 p.m. artist and wildlife biologist Sharon K. Schafer will speak her new art show “Becoming Animal: Standing Witness for the Sentient Wild.” The presentation will be in the Byrd Auditorium at the National Conservation Training Center, 698 Conservation Way, Shepherdstown, WV 25443. It will be followed by the opening of her new art show at NCTC. 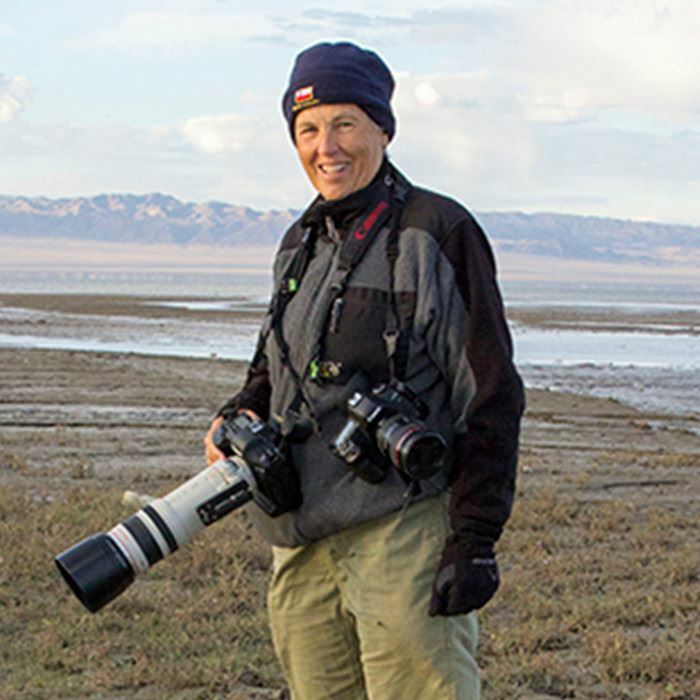 Sharon K. Schafer is a wildlife biologist by education and an artist and photographer by passion. She finds unending inspiration in exploring the exquisite detail as well as the secretive beauty and complexity of Nature. She attempts to foster a deeper understanding and appreciation of the beauty, diversity, and grace of our fragile planet through her art. Schafer teaches art and nature-related classes throughout the world, and lectures extensively about the beauty and amazing diversity of life on our planet. Schafer founded Skydance Studio in 1998, dedicated to the creation of images that promote a deeper understanding and appreciation of the beauty and diversity of the natural world. Schafer earned her degree in Wildlife Management at Humboldt State University, in northern California. Subsequently, she worked as a field wildlife biologist for the Soil Conservation Service, Pacific Gas and Electric, and the Bureau of Land Management. She is a signature member of both the international Society of Animal Artists and Artists for Conservation. The Conservation Lecture Series is co-sponsored by The Friends of the NCTC.